Storms are expected today so I head into the park early this morning. When I reach the top of the Tufa Terrace ramp I notice a horrible sight. A branch has one end carved to a point and has been jammed into a Chipmunk burrow. My heart ached for the fear this must have caused, I am thankful this burrow has several exits. When I reach the Peak Trail I am surprised to see one of the Rabbits on the paved path and not over in the grassy glen. Seeing one one of the two Eastern Cottontails has me wondering if there is nest tending or if the other was scared off. I hope the same people that was probing in the Chipmunk burrow did not find the Rabbits. 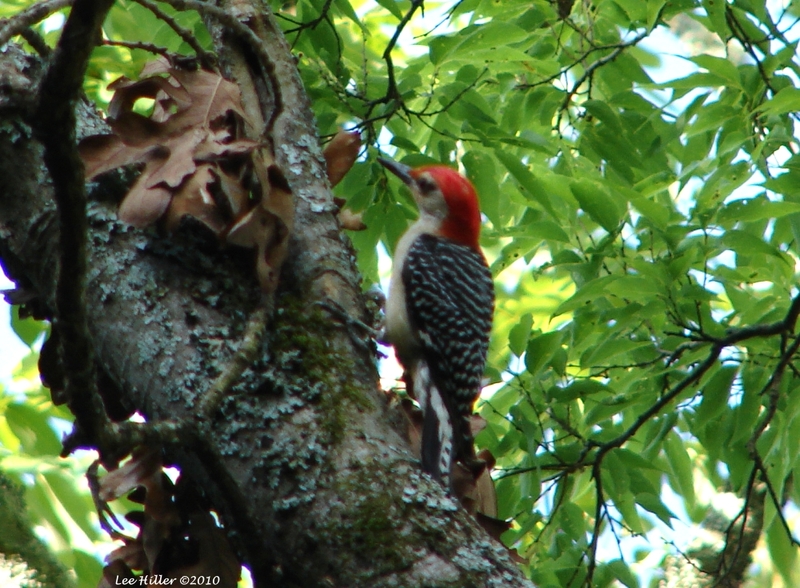 As I reach the Carriage Road I can hear the call of a Red Bellied Woodpecker. 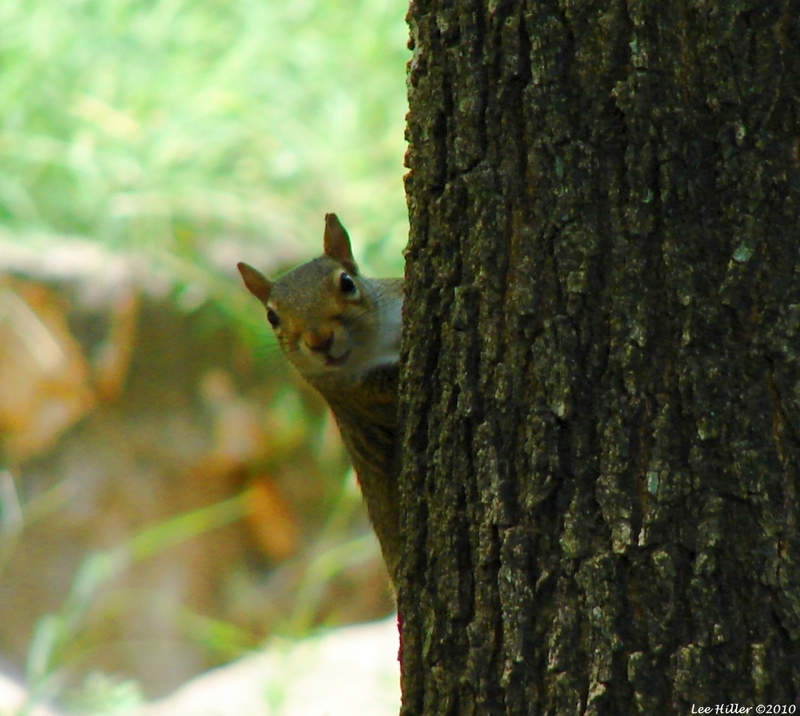 I look up and see the lovely red head of a male in the Tree above me. I notice it is a smaller juvenile bird and in the distance can see another one moving high in the Trees. On the ground a sweet baby/juvenile Brown Thrasher is searching for it’s breakfast. I Love see all these amazing young birds. A really cool insect I usually only see rapidly moving in the air is slowly crossing the path in front of me. It has a jet black body with orange wings, I would love to know what it is. [Thank You @Catawu for identifying this as a Spider Wasp] In a Tree above me a beautiful brown Moth is dancing in the branches. I love watching it’s delicate maneuvers. I hike up the Dead Chief and Short Cut Trails to reach the Top of the Mountain. As I start my hike on the Hot Springs Mountain Trail I see another young Brown Thrasher. It’s wonderful to see all the new life in the park. Further along a brown Swallowtail Butterfly lands on a plant on the side of the trail. As I am watching it I hear a loud snap below me, I look to see what made this sound. Each step on my hike I can hear something big moving through the Forest. Several minutes later I hear a startled movement and I carefully back track. 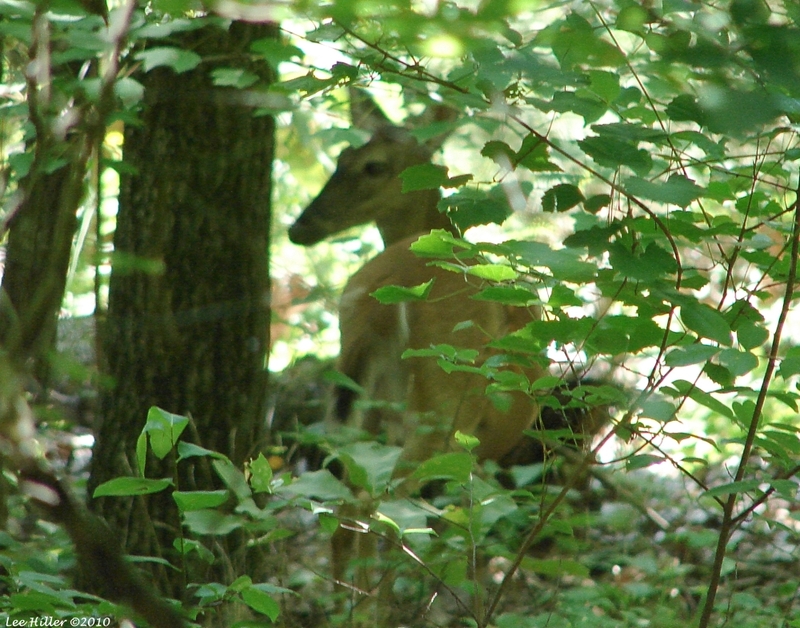 Deep into the lower reaches of the Forest a beautiful Doe looks up at me. She eats some leaves, looks at me again then lets out a loud snort and leaps deeper into the woods. I Love these moments and am thankful Nature shows them to me. From the Hot Springs Mountain Trail I connect with the Honeysuckle Trail. Along the trail a pretty female Robin appears on a Tree to my right. She flies from Tree to Tree until she land in one with a Male Robin. I Love watching this beautiful pair of birds and wonder if they have a nest nearby. Nearing the end of the Trail a small gray moth lands on a large green leaf. I connect with the Peak Trail and onto the Tufa Terrace toward the park entrance. 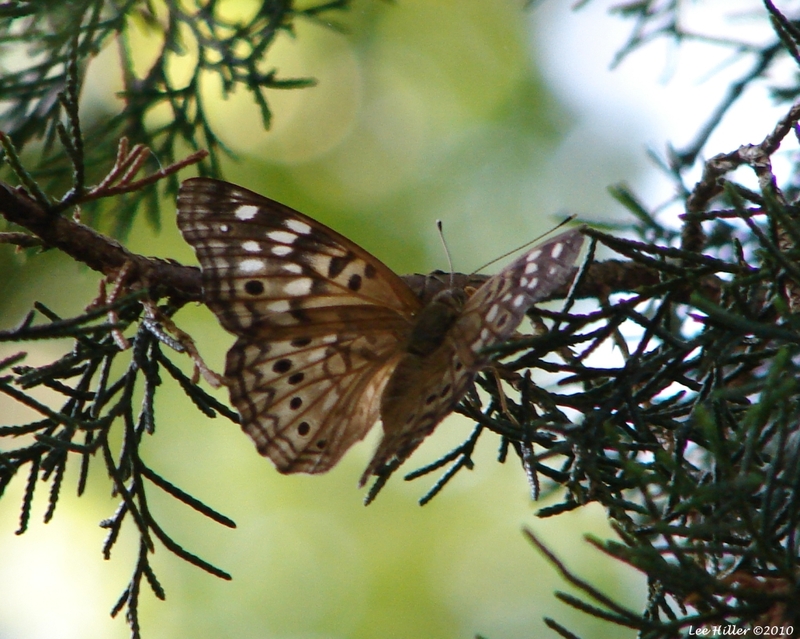 As I finish my hike I reflect on the beauty I have seen in the Forest today. Please pray for the people the wildlife of the Gulf Coast.